This article is related to settled foreign country. There is nothing to get surprised if the horoscopes can indicate someone go abroad for career. Sometimes planetary positions are not suitable for people to live in the country you born. If a person is destined to settle abroad there must be some astrological reasons. Destiny does play its pa rt for those people. This situation has two aspects. Firstly, the people who willingly want to go abroad to earn and settle down there. Secondly, the people who have failed to earn in their native place and then their destiny takes them to a foreign country by creating opportunities which they grab either willingly or unwillingly. However, I will suggest all my readers to get their planetary positions checked and then decide upon the next step for their career. The placement of Mercury and Rahu in the birth chart indicates the source of income for a person. If Mercury is in a strong position then that person will have chances of long travels in his life. Rahu stands for long travel through the plane. If both Mercury and Rahu are in strong and beneficial position in the horoscope, then that person will have opportunities of long-distance travel along with having their source of income in a foreign country. 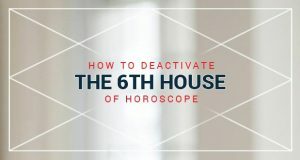 The 8th and the 12th Houses of the horoscope are also very important when we talk about settling down abroad. When Mercury and Rahu are placed together in 8th house or the 12th House of the horoscope then there are possibilities of earning in abroad. However, one thing should be always kept in mind that Mercury and Rahu must not be in a weaker planetary position. Mercury &Rahu are considered to be in a weak planetary position when Mercury travels through the Zodiac Sign of Pisces and Rahu travels through the Zodiac Sign of Sagittarius. If Sun is situated along with Mercury and Rahu in the horoscope then I will advise that person that he/she should not go to a foreign country for earning and settlement there permanently as the planetary positions will put that person in trouble and create problems. A person with this kind of planetary position may go abroad for temporary basis but they should not even think about settling down there. Other planets also help a person to settle down settle abroad. I have written the necessary details in the list given below. If you have the following planetary positions in your horoscope, then there are chances that you will have your source of income in foreign currency. WILL YOU SETTLE DOWN ABROAD? The planetary position to settle abroad by astrology. If 5 or more planets are in the 6th, 8th and 12th House of horoscope, you will settle down in a foreign country. If more than 3 planets are in the 12th House, you will have your source of income in foreign currency. If more than 3 planets are in the 8th House, you will have your source of income in foreign currency. If you have a single planet in the 8th House of your horoscope, you can have your source of income in foreign currency or even in your native currency as both options are available for you. If 6th, 8th and 12th Houses of your horoscope have 1 or more planets, you will have your source of income in foreign currency. The conclusion is if you have ideal planetary positions to go abroad you can try for onsite opportunities as per the best of your efforts. Numerous people wandering for the visa but no luck. By following the rules of astrology you can save your time to do efforts in right direction. If you have abroad settlement in your horoscope your efforts will be meaningful. Unless you can go for other choices. Current planetary positions have major changes in the sky. So this is the time of a change in your life also. 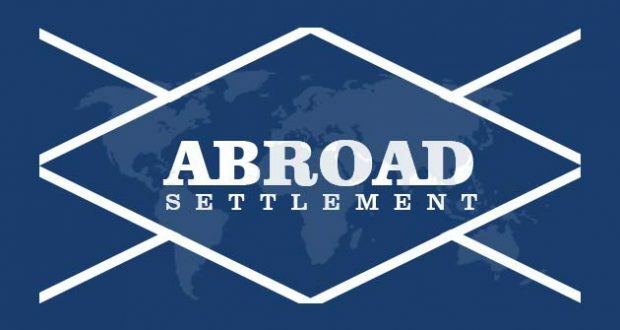 If you are looking for abroad settlement this year you should check the above prediction for abroad. Aries have Jupiter’s aspect on 4th house. Visa problems will be solved this year. Taurus have Saturn in 8th house, as a result, there are problems in abroad travel. In the month of August Gemini lord mercury will be in front of Saturn, so there are chances of abroad settlement. 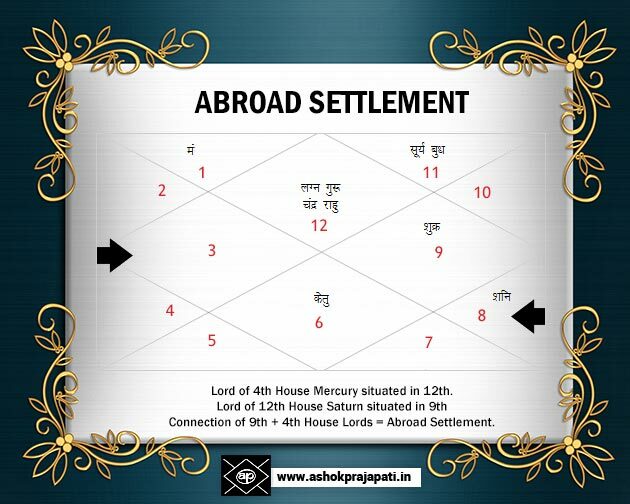 In the month of June lord of 4th house & 9th house will be in front of each other so there are chances of abroad settlement. Leo has abroad settlement this year due to Mars after April 2019. If you are Virgo Sign after the June 2019 you have chances to go abroad. If you are Libra Zodiac sign the year 2019 is good for you. If you are Scorpio the year 2019 will give you good news of abroad settlement. If you are Sagittarius you should keep patience this year. Try your best in the examination. Capricorn has to wait for abroad settlement till the end of 2019. For Aquarius sign after March, the time is good for abroad. Pisces will have obstacles in the abroad plans. The above prediction of abroad is based on moon sign of the world. If you are not aware of your zodiac sign you can fill the form in the starting of this page & know your future. I am Balaji.. Do I have a chance to settle abroad?? For more prediction You need a paid service.